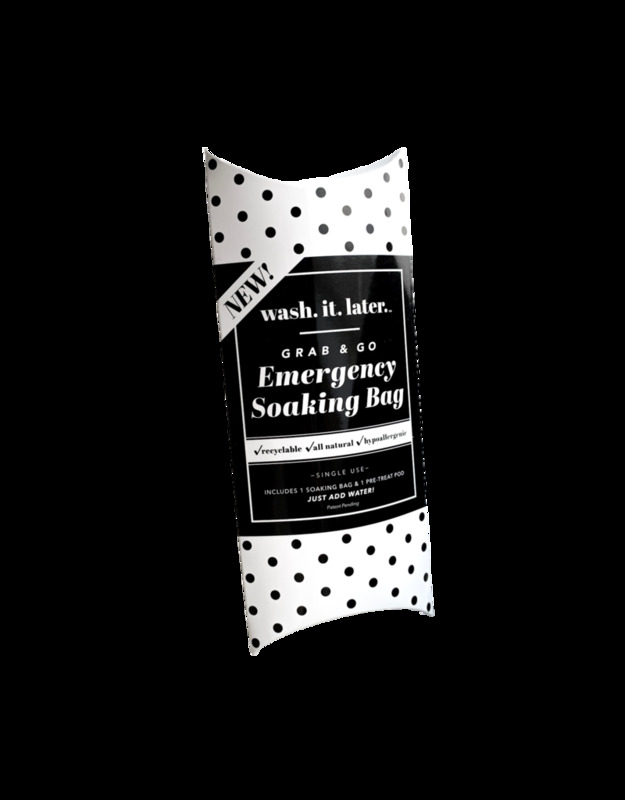 New Grab and Go individual Soak & Save bags. Designed specifically for parents on the go. These are perfect for travel and will fit in any pocket! Soak & Save Bags by Wash It Later were created for the absolute worst messes while parenting. Baby blow outs, spit ups, spills, stains, smells, are all inevitable events. These disasters don't care if you're at the park, out shopping, on an airplane, or at your friends house for dinner... We know because we are parents too! 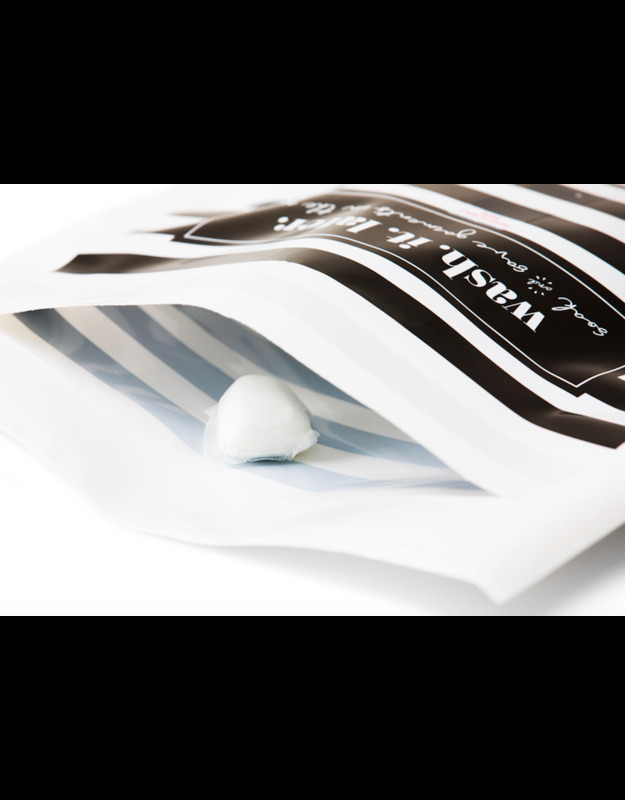 Wash It Later bags are designed to isolate and contain the mess. We give you the chance to get the outfits, swaddles, and sometimes your own clothes home safely, and all the while soaking and pretreating the clothing on the spot to prevent stains from setting. Each fully recyclable bag contains a single serve, all natural, hypoallergenic soaking pod. Simply place the clothing inside the bag, add water and seal. 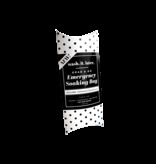 Never feel panicked again! Save your sanity, and your baby's clothing from absolute ruin!